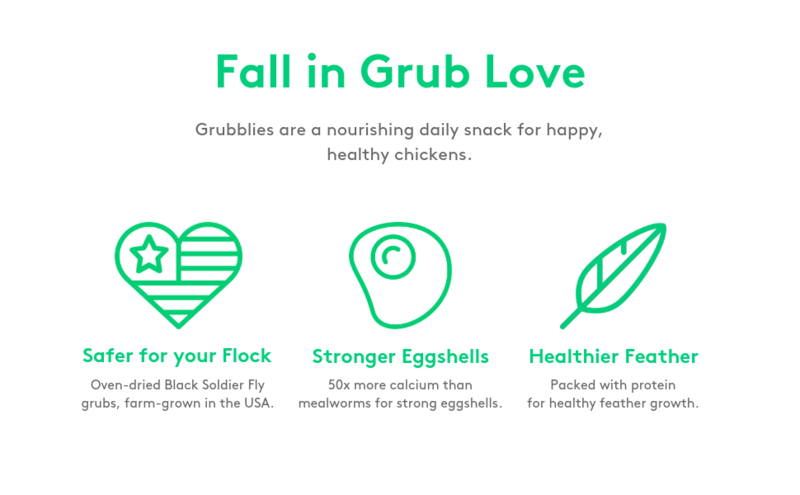 Healthier Feathers: Packed with protein, Grubblies promote healthy feather production and speed up molting to allow hens to regain normal levels of energy and egg output. 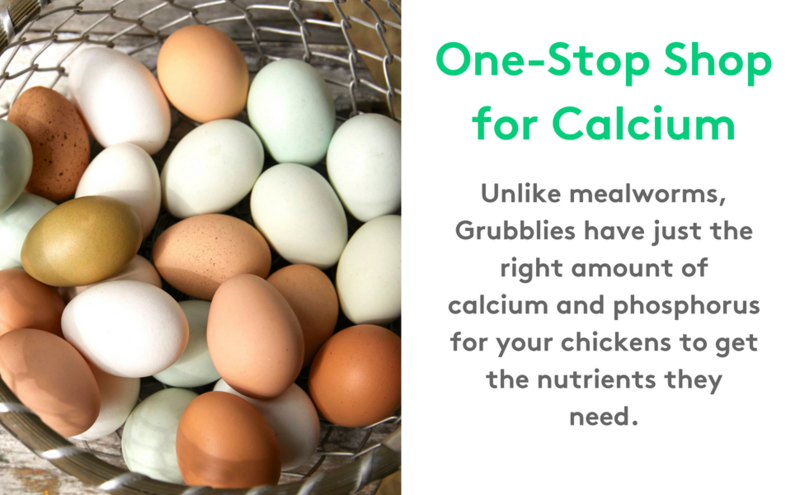 Stronger Eggshells: With 50x more calcium than mealworms, a handful of Grubblies aids in the prevention of deformed eggs, and promotes stronger shells that won’t break before getting to the kitchen. 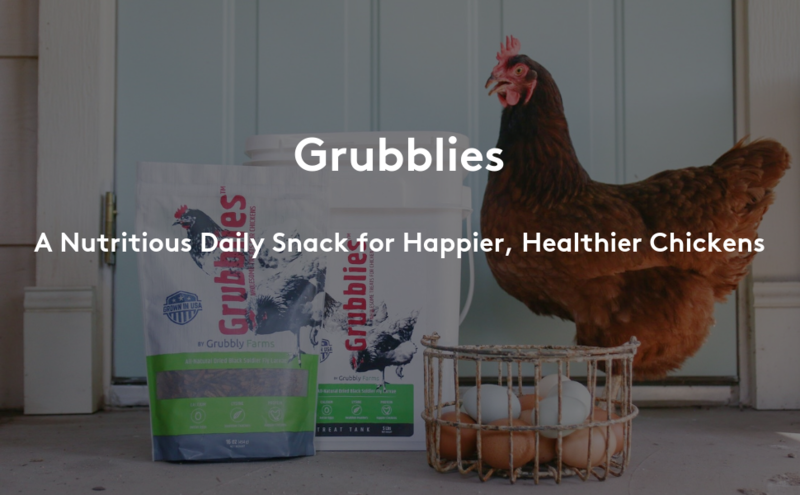 A nutritious snack that treats right back. Safer for Your Chickens: Oven-dried Black Soldier Fly grubs, Farm-grown in the USA under USDA regulations. No additives. No preservatives. 100% natural. 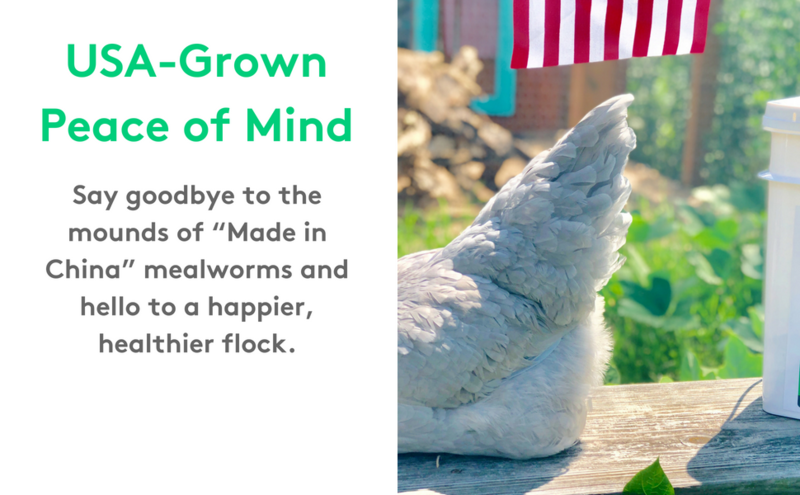 Also great for ducks, turkeys and other fowl. 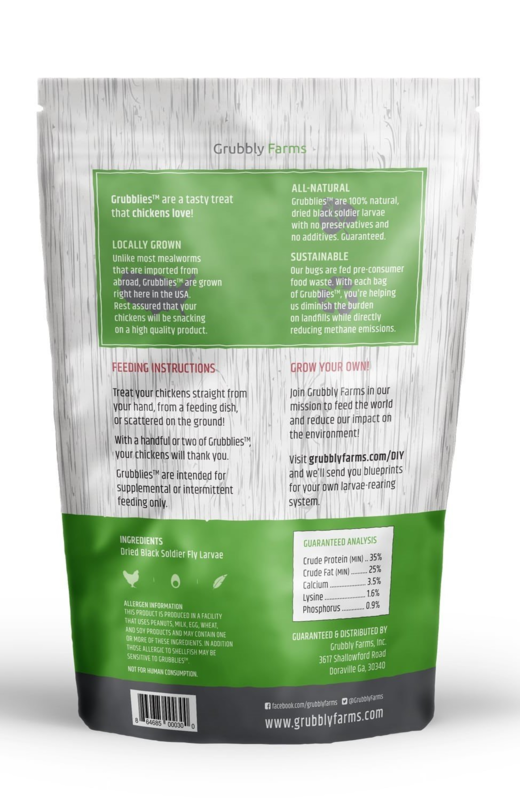 Delivers Daily Nutrients: Protein, Calcium, Phosphorus, Fiber, Lysine, Dietary Fat. 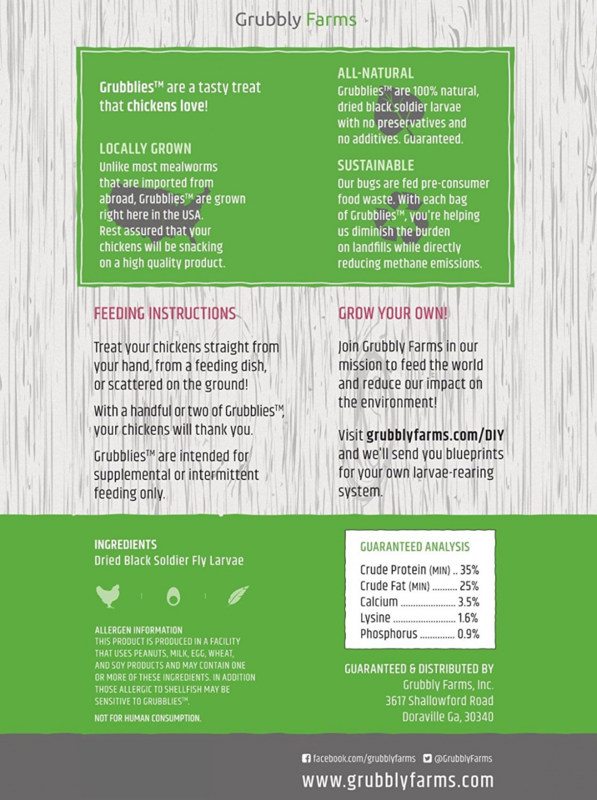 – Unlike mealworms, Grubblies provide an optimal calcium to phosphorus ratio of 3:1. 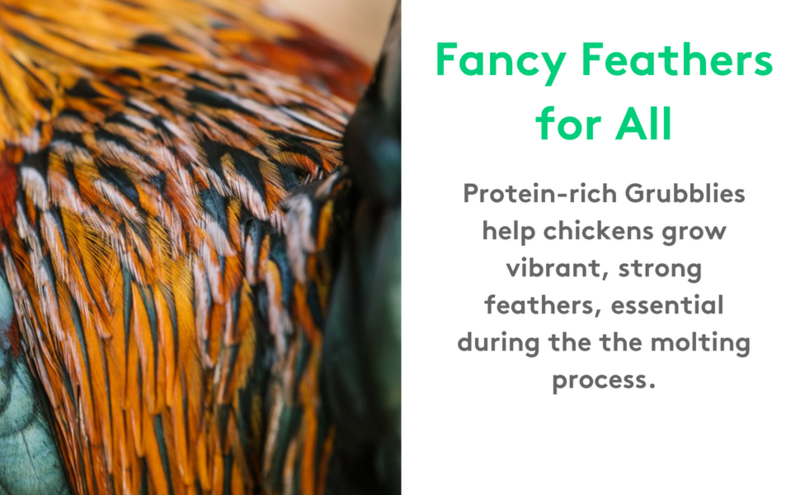 Also great for ducks, turkeys and other fowl. 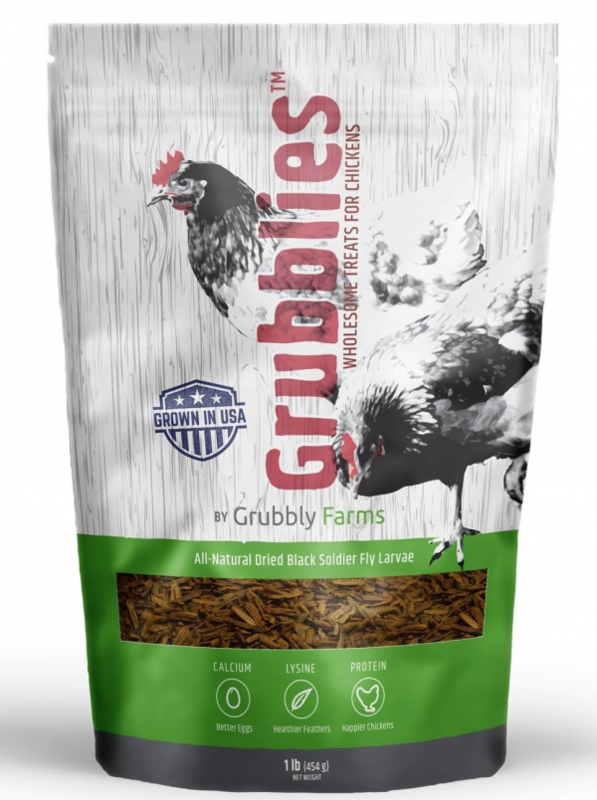 Encourages Natural Feeding Behavior: An all-natural daily snack of Grubblies encourages chickens to forage for food, providing them with a wider variety of all-natural nutrients as they scratch at grasses, leaves and other insects.